A WINDOW TO THE MAGIC: DISNEYLAND ADVENTURE PODCAST | Listen Free on Castbox. Of all the Disney podcasts, this is the only one I consistantly come back to. It seems like it's the only one that doesn't feature a host that talks and talks and talks and talks. Most Disney podcasts are nothing but some guy talking about news, reading emails, talking about the parks, talking about attractions, bla bla bla. Window to the Magic really takes you into the park with audio segments recorded live in the park. There's so much great audio in Disney parks, but none of the other podcasts let you experience it. The best are the "Where in the Park" game segments--Paul starts in the esplanade and walks to an attraction somewhere in the parks. You use your ears to figure out where and how he got there, and then you get to experience the attraction. There's also music from Disneyland fixtures like the Dapper Dans and the jazz bands in New Orleans Square. Sometimes we get to hear audio from extinct attractions, or ones that have changed over time. Plus a great new audio game called DISTEST. And so much more. Check it out! Out of all the podcasts that cover the Original Disneyland, I think this one is the best. My favorite segments by far are the "where in the park" games. It's really fun imagining your surroundings as you try to "see" with your ears. 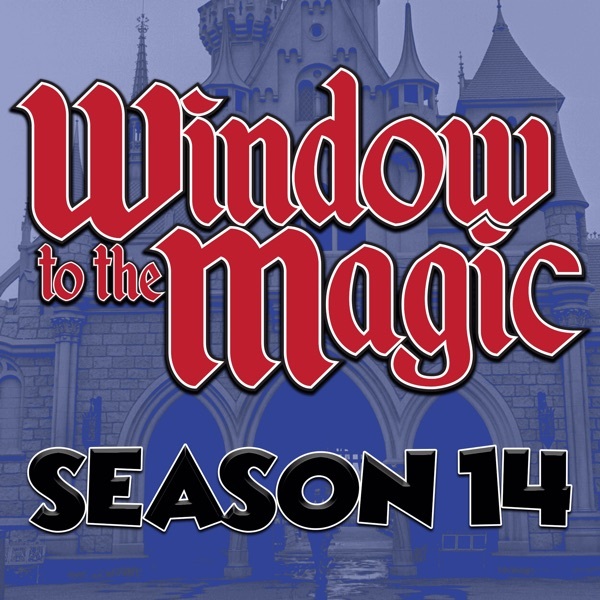 I also like the fact that Window to the Magic is a regularly updated podcast with a new show every week. If you truly love the Disneyland Resort, you owe it to yourself to give it a listen. This is why podcasting was invented! Paul Barrie takes you on a weekly visit inside the Disneyland Resort, treating your ears to the sounds of the parks. If you think finding hidden Mickeys is fun, play along with Paul's "Where in the Park?" feature in which Paul takes you for a walk through the park, and you guess where he ends up, based on the ambient sounds you hear. Sometimes it's easy, sometimes it's a challenge, but always it's fun! Other podcasts (*cough, Ricky, cough*) are now trying (but failing) to imitate Paul's ideas. If you want Disney news and travel tips, there are a dozen of podcasts to choose from, and this one isn't it. If you want a podcast that literally takes you to Disneyland, let Paul Barrie open the Window to the Magic and immerse you in the Disneyland experience.